Many sides in Thai politics have long agreed on the need to expand development into the provinces and reduce overcrowding in Bangkok. Yet inequality between the capital city and Thailand’s next most prominent cities—what this article calls “secondary cities”—remains high, a situation not helped by how the central government allocates development funds. The phrase “Khon Kaen Model” connotes two rather disparate meanings. The first is deeply political. In 2014, the National Council for Peace and Order (NCPO) used “the Khon Kaen Model” to refer to a group in the province allegedly amassing forces and weapons to terrorise the citizenry. The group was arrested on 23 May 2014. But local administrators, academics and entrepreneurs refer to the Khon Kaen Model to capture the northeastern city’s unique private sector-driven approach to infrastructure development. The province of Khon Kaen is home to a first-class secondary city: situated in the heart of Isaan, connected to other parts of Thailand via high-speed railway, and on its way to being connected internationally via an airport. Khon Kaen also falls in both the East–West Economic Corridor and a sub-section of the North–South Economic Corridor. Four cities, from four respective provinces, could be classified as secondary cities in Thailand’s northeastern region: Khon Kaen, Nakhon Ratchasima (Korat), Udon Thani and Ubon Ratchathani. Yet Khon Kaen has only recently been one of the centres of the Northeast that it is now—it is the only of Isaan’s “big four” whose development does not spring from being a former monthon (former administrative subdivisions used in the country during the early 20th century). When one examines the Northeast’s former administrative centres from which lesser satellite cities were managed—the monthon of Udon, Roi Et, Ubon and Nakhon Ratchasima—one might be surprised to find that Khon Kaen at the time had a relatively low population density compared to the monthon. The patronage of Field Marshal Sarit Thanarat (in office 1959–63) was instrumental in kick-starting Khon Kaen’s rapid growth. Indeed, the first ever edition of the National Economic and Social Development Plan (1961–66) was drafted in Khon Kaen itself (the 12th and latest National Economic and Social Development Plan spans 2016–21). While the Plan’s schemes to reduce poverty were oriented toward snuffing the appeal of communism, which had found particularly receptive hearts in Thailand’s Northeast, infrastructure projects nevertheless accelerated Khon Kaen’s growth over a few short decades. The Ubol Ratana Dam, opened in 1966, began producing adequate electricity to sustain large-scale industry, commerce, services and irrigation. Several factories sprung up in the vicinity of the dam to take advantage of the availability of both water and electricity, producing goods from sugar to paper. Khon Kaen University, the foremost educational institution in the Northeast, opened with an agricultural and engineering faculty in the hopes of steering students towards these skills. Meanwhile, Srinagarind Hospital now administers medical services not only to the Isaan population but patients from neighbouring countries. Perhaps transport infrastructure has most accelerated the emergence of Isaan’s secondary cities. The heart of the Northeast’s connectivity lies in the Northeastern Railway Line and Mittraphap Road (“Friendship Road”) which pass through four provinces: Nakhon Ratchasima, Udon Thani, Nong Khai and Khon Kaen. Mittraphap Road, built with financial assistance from the United States and opened in 1957, initially served as route for transporting ammunition to the Vietnam War—but it also conveniently provided a conduit for transporting Isaan’s crops and other agricultural goods. After the construction of the Railway (the Bangkok–Ayutthaya line opened in 1896 but other lines were progressively added until 1958) and Mittraphap Road, Khon Kaen exploded into a junction for flows of goods and people. But the distribution of wealth in Khon Kaen is distinguished by it never having been a monthon, meaning there is no clear class of privilege descended from former governors who took advantage of monopolies over governance to establish a base of wealth and land ownership. 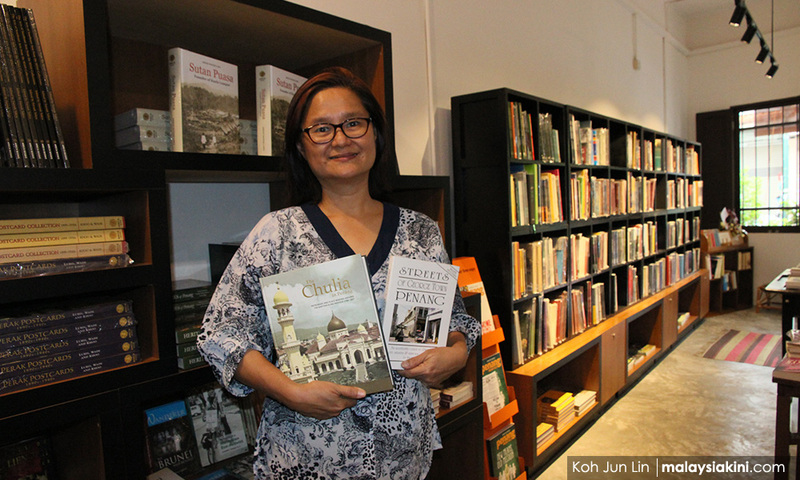 Khon Kaen’s relatively short history translates into a diverse population that has been buttressed by the migration of peoples in search of economic opportunity, including a notable Sino-Thai business community. Many of Khon Kaen’s upper class do not have long ancestral roots in the province—ties may extend back only as far as a generation or two. Despite this, or because of it, the fraternity that characterises Khon Kaen’s “newly wealthy” is remarkable. These new elites are knitted together in networks that revolve around the province and a kind of regional pride. Many graduated from the Demonstration School of Khon Kaen University or Khon Kaen Wittayayon School (Isaan’s leading secondary schools)—these groups placed faith in regional education standards and resisted the trend of migrating to the capital city. 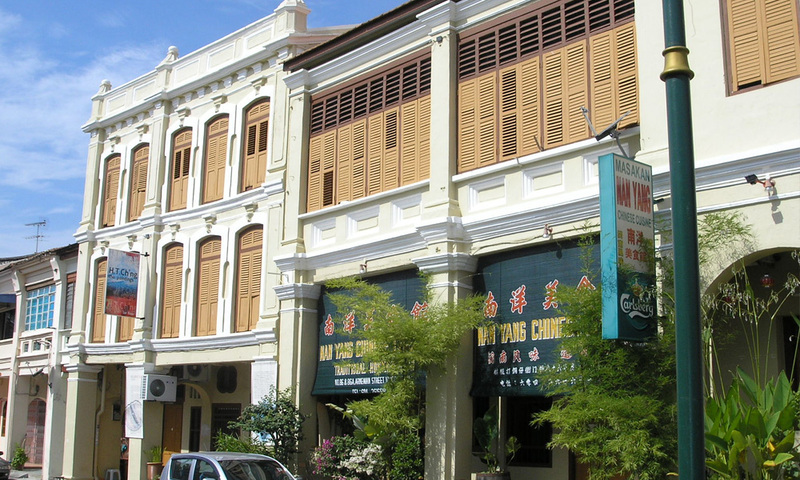 Others pursued higher education in Bangkok or abroad but returned to contribute to the province’s development. A society of Khon Kaen’s elite now partake in a tradition of “gathering around the Chinese dinner table”, whereby they take turns each month to host each other over for dinner. These elites repeatedly tell me that they view each other not as “rivals in business” but as “friends in business”. In the past, Khon Kaen’s elites—whether formally in the case of MPs or informally in the case of chao pho—appeared satisfied to leave the province’s development to the fate determined by the central government’s distribution of funds. While expectations remain low that the central government will invest in Khon Kaen’s internal transportation infrastructure, the inception of a new economic elite has blossomed alongside changes in local leadership. The laying of plans to unleash Khon Kaen’s development potential has been subsequently driven by networks of entrepreneurs, municipal officials and local academics, who proactively bypass neglect from the central government through public–private partnerships to provide public services. Phiraphon Phatthanaphiradet, the Khon Kaen mayor from 2000–12 (and from a family of mall tycoons), espoused a governance philosophy based on the “triangle that moves that mountain” theorised by Dr Prawet Wasi: the development of a city relies on a coalition between three sectors 1) the municipal government 2) civil society 3) the scholarly community. Khon Kaen’s municipal government under Phiraphon exhibited a genuine interest in supporting political participation, winning a number of national awards including from the King Prajadhipok’s Institute. This philosophy was passed onto the current Mayor of Khon Kaen, Teerasak Teekayuphan (formerly the vice-mayor, Teerasak graduated from the same high-school cohort as Phiraphon. His family migrated from the province of Yala to Khon Kaen for business purposes). Teerasak has recruited academics such as Assoc. Prof. Dr. Rawee Hanpachern to lead the designing of municipal development initiatives—the well-publicised “Khon Kaen Smart City” development blueprint first emerged four years ago as a partnership between the municipal government and Khon Kaen University’s Faculty of Architecture. On the other hand, private businesses are providing the extraordinary capital required to administer, provide and build the infrastructure underpinning mass services. Public transport infrastructure in Khon Kaen—such as an ambitious 26km light rail line—is being funded and spearheaded by the Khon Kaen Think Tank (KKTT), a group of Khon Kaen’s 20 leading “new gen” businessmen. The group counts among its ranks Suradech Taweesaengsakultha, an automobile tycoon, and real-estate magnate Channarong Buristrakul. Each member contributed 10 million baht to establish the think tank and pool capital for building up the city’s infrastructure. The group of business magnates remembers well that “mobility drives the city”, but are no longer content to wait for the benevolence of the central government. That Khon Kaen lags behind Bangkok when it comes to development is here perhaps beside that point: development communities on the ground have their eyes on following a unique path to prosperity. As one Khon Kaen citizen explained to me with pride, “We’re going to do better. We’re not following Bangkok’s vision of the future”. Still, the “Khon Kaen Model” of private-sector driven development has met with some friction from both the central government and local communities—some cannot help but be suspicious of wealthy tycoons openly cozying up alongside politicians. When push comes to shove, it cannot be denied that the members of KKTT see business opportunities in the process of developing Khon Kaen. There have been accusations that some have exercised leverage in determining the locations of light-rail stations to push up investment in their real estate. Still, it was something of a win-win situation when KKTT, via the Cho Thavee Corporation, began trialling modern “smart bus” services in Khon Kaen (allowing Cho Thavee to in turn leverage its experience providing bus services to win a tender to supply buses to the Bangkok Mass Transit Authority). Having worked alongside municipal governments in several committees to draft city development plans, both in Isaan and in other regions, I can say that I have never seen anything like “the Khon Kaen Model” wherein the local government and the private sector are so proactively sidestepping the central government. How the Model unfolds is well worth watching. Still, I too cannot help but ask whether the future of Khon Kaen’s development is being left in the hands of one small capitalist group. Moreover, what does the bright future foretold by the Khon Kaen Model mean for other cities with far fewer comparative advantages than those with which Khon Kaen has been blessed? Pechladda Pechpakdee is based in the Faculty of Architecture, Urban Design and Creative Arts at Mahasarakham University. She has worked on city development plans with Thailand’s Department of Public Works and Town and Country Planning, the National Housing Authority and a number of municipal governments. She is the President of the Isaan branch of the Thailand Urban Designers Associations. Posted in Architecture and Design, ASEAN, Development Planning, Governance, Holistic and Balanced Development, New Mandala.org, Public Accountability, Thailand. 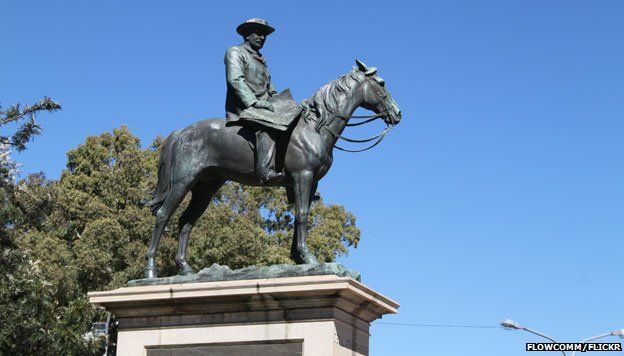 Why should public spaces in the US be purged of images of Confederate leaders, while statues of Admiral Nelson and Cecil Rhodes still stand in Britain? The way we tell stories of our past, and keep memories alive in cultural artifacts, is a large part of how we view ourselves collectively. NEW YORK – The ghastly spectacle last month of neo-Nazis marching through Charlottesville, Virginia, carrying torches and barking slogans about the supremacy of the white race, was sparked by the city’s plans to remove a statue of Robert E. Lee, the leader of the Confederate army, which fought to retain slavery in the secessionist South during the American Civil War. The statue of General Lee on his horse has been there since 1924, a time when the lynching of black citizens was not a rarity. Inspired by the events taking place in Charlottesville, advocates have emerged in Britain seeking to pull Admiral Nelson off his famous column on Trafalgar Square in London, because the British naval hero supported the slave trade. And two years ago, protesters at the University of Oxford demanded the removal of a sculpture of Cecil Rhodes from Oriel College, where the old imperialist had once been a student, because his views on race and empire are now considered to be obnoxious. The Lord Admiral Nelson Monument stands in London’s Trafalgar Square and is one of the most iconic in London–An Artifact of British Naval History. There always was something magical about this kind of iconoclasm, which rests on the belief that smashing an image will somehow solve the problems associated with it. When English Protestants challenged the power of the Roman Catholic Church in the sixteenth century, mobs laid waste to stone-carved saints and other holy representations with pick-hammers and axes. Eighteenth-century revolutionaries did the same to churches in France. The most radical example occurred in China only a little more than 50 years ago, when Red Guards destroyed Buddhist temples and burned Confucian books – or indeed anything old and traditional – to herald the Cultural Revolution. It is easy to deplore this type of destruction. Great buildings and works of art are lost. One is tempted to assume that only people who believe in the magical power of images would wish to erase them. The sensible way to deal with monuments of the past would be to see them simply as artifacts of history. And yet it is not so simple. Who would argue that after 1945 streets and squares in German cities should continue to be named after Adolf Hitler? It was surely not just a childish mistake to remove sculptures of the Führer – or of Soviet leaders in Central and Eastern Europe after 1989. One could argue that images of these leaders and their henchmen lacked the artistic value of great churches of medieval England, or Tang Dynasty Buddhist sculptures in China. 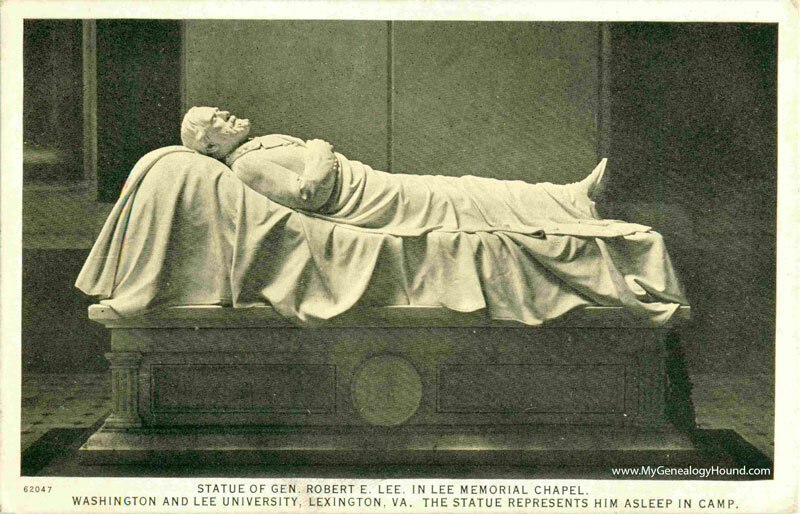 But then statues of General Lee are hardly worth preserving for artistic reasons either. The question is where we should draw the line. Should a historical figure be judged by the amount of blood on his hands? Or should we establish a proper time frame? It might be argued that monuments celebrating villains who lived within living memory and would still cause grief to surviving victims must be removed, and that anything older should be left alone. But that doesn’t quite work, either. The argument for preserving a sculpture of Hitler in a public place, assuming that such a thing still exists, does not get stronger as time goes on. Many people in the US South argue that Confederate monuments should be protected as mere reminders of the past, as part of a common “heritage.” The problem is that history is not always neutral. It can still be toxic. The way we tell stories of our past, and keep memories alive in cultural artifacts, is a large part of how we view ourselves collectively. This demands a certain degree of consensus, which often does not exist, especially when there has been a civil war. The case of postwar Germany is quite straightforward. Both East and West Germany set out to build their collective futures in direct contrast to the Nazi past. Only a resentful fringe still wishes to cling to fond memories of the Third Reich. Nonetheless, to this day, German authorities ban the display of Nazi imagery, fearing that it might still tempt people to repeat the darkest episodes of their country’s history. This fear is understandable, and not wholly irrational. Such temptations could even become stronger as Nazism fades from living memory. Britain has a less traumatic recent history. The views of Cecil Rhodes, or Admiral Nelson, though fairly conventional in their time, are certainly no longer fashionable today. It is highly unlikely that many British people gazing up at Nelson on his column or passing Oriel College, Oxford, will be inspired to advocate slavery or build an empire in Africa. The American South, however, is still a problem. The losers in the Civil War were never quite reconciled to their defeat. For many southerners, though by no means all, the Confederate cause and its monuments are still felt to be part of their collective identity. Although hardly anyone in his right mind would advocate the revival of slavery, nostalgia for the Old South is still tinged with racism. That is why statues of General Lee in front of court buildings and other public places are noxious, and why many people, including southern liberals, wish to see them removed. There is no perfect solution to this problem, precisely because it is not just about images carved from stone. Resentment in the South is political. The wounds of the Civil War remain unhealed. Much of the rural south is poorer and less educated than other parts of the US. People feel ignored and looked down upon by urban coastal elites. That is why so many of them voted for Donald Trump. Knocking down a few statues will not solve this problem. It might even make matters worse. *Ian Buruma, Editor of The New York Review of Books, is Professor of Democracy, Human Rights, and Journalism at Bard College. He is the author of numerous books, including Murder in Amsterdam: The Death of Theo Van Gogh and the Limits of Tolerance and Year Zero: A History of 1945. Posted in Architecture and Design, Art, Democracy, History, Politics. Fanaticism knows no limits, from the Middle East to the rest of the world. Often the boundary between fanaticism and insanity is equally blurred. Many years back when the fanatical Taliban ruled Afghanistan, many world-shocking events took place there, such as the shocking demolition in the name of Islam of statues of Buddha in Bamiyan. For thousands of years, the Bamiyan Valley was a regular stop on the Silk Road for travellers from China, India, Persia and Europe. Bamiyan was an important hub of Buddhist learning. Thousands of monks and craftsmen erected countless awe-inspiring Buddha statues on the walls of the cliffs in the valley, the biggest of which stood at 38m and 58m tall. Aesthetically, these were masterpieces attesting to the pinnacle of cultural eminence. From the historical point of view, they were priceless legacies of human civilisation. For over a thousand years, these two enormous Buddha statues stood over this land and the many historical developments taking place under their noses. Unfortunately such godly artistic creations were blown up and reduced to rubble by the Taliban in a matter of hours. Similarly, after Islamic State fanatics captured parts of northern Iraq, they blew up 3,000-year-old Assyrian relics and statues in the ancient city of Nimrud. They also destroyed the Temple of Bel and Baal Shamin in the 4,000-year-old city of Palmyra in northern Syria they subsequently captured, smashing up the invaluable ancient animist relics. 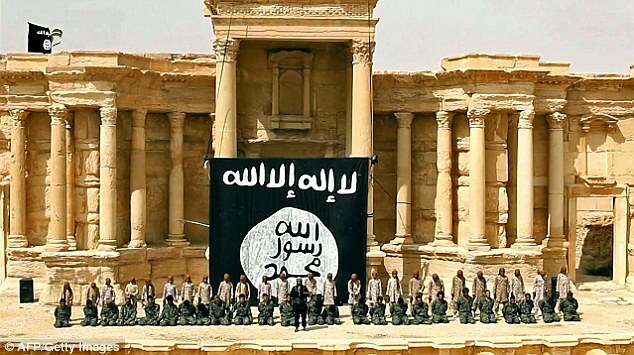 Khaled Asad, director of Palmyra Antiquities Museum, was executed by the IS. Taliban and IS prohibited idolatry on the pretext of defending their religion, destroying priceless statues and relics without taking into consideration their enormous historical value. What has been brought down can never be restored; neither can pieces of history be duplicated. The fanaticism and insanity of these people have shocked the world and brought tears to millions. What has this to do with Malaysia? The eagle statue in Langkawi and the statue of fallen heroes at the National Monument have received media coverage of late. Some clerics who thought they were safeguarding their religion called for their demolition to preserve the sanctity of the religion and stub out idolatry. The eagle is but a symbol of Langkawi and a popular sightseeing spot. No one is going to worship an eagle statue anyway. 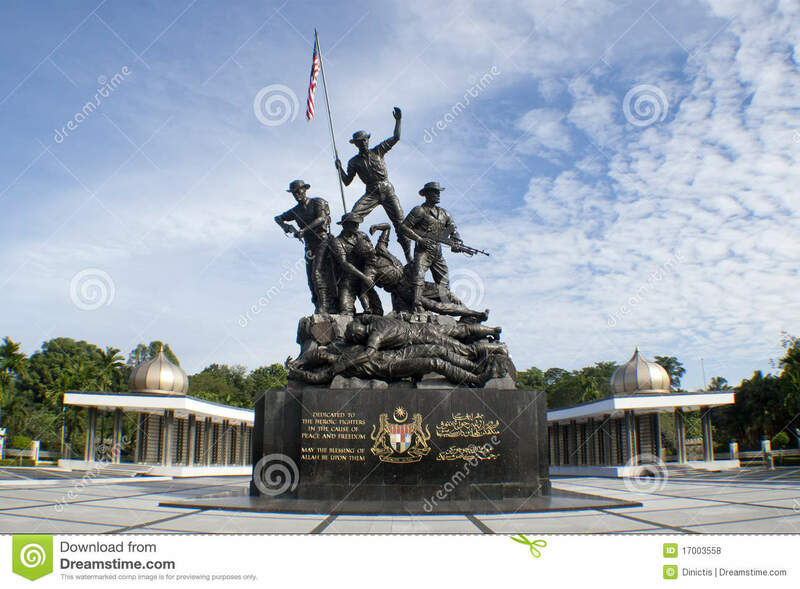 As for the National Monument, it was built in honor of the warriors sacrificing their precious lives for the nation, and was meant to inspire Malaysians to be patriotic. Similarly, no one is going to deify and idolize them either. Narrow-minded and radical interpretations of such people have religionised everything that crosses their minds and banished all who are not with them. This is the crudest manifestation of the pride and prejudice born out of such fanaticism. If by chance their wayward thinking gets approved and legitimised, the country’s diversity and universal values will be completely uprooted. 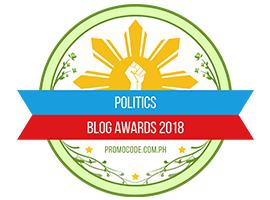 Posted in Architecture and Design, Culture and Music, Democracy, Geo-Politics, Intellectual Development, Knowledge, Malay Fascists, Mullaism, Politics, Red Shirt Racists, Religion and Humanity, The Malays, The Red Shirts, UMNO, Uncategorized, US Presidential Race. Can architecture help heal the wounds of Cambodia’s genocide? Julia Mayer takes a look at the Documentation Centre of Cambodia’s new memorial to a dark past, the Sleuk Rith Institute in Phnom Penh. Passion and patience make strange bedfellows but are essential when best-laid plans temporarily go awry. 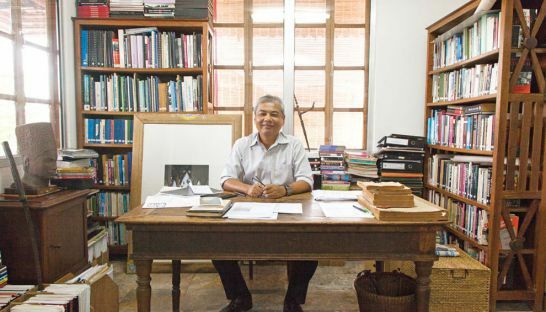 Youk Chhang, founder of the Sleuk Rith Institute and the Executive Director of the Documentation Centre of Cambodia (DC-Cam) continues to work tirelessly on his ambitious proposal to reconcile his country’s brutal past with its rich ancient cultural heritage. He is trying to build a multi-purpose centre commemorating Cambodia’s genocide and is doing this in what can best be described as an uneasy present. Facing numerous setbacks, Chhang, who is also a survivor of the infamous Khmer Rouge era of 1975-79 in which more than two million people perished, remains undeterred. 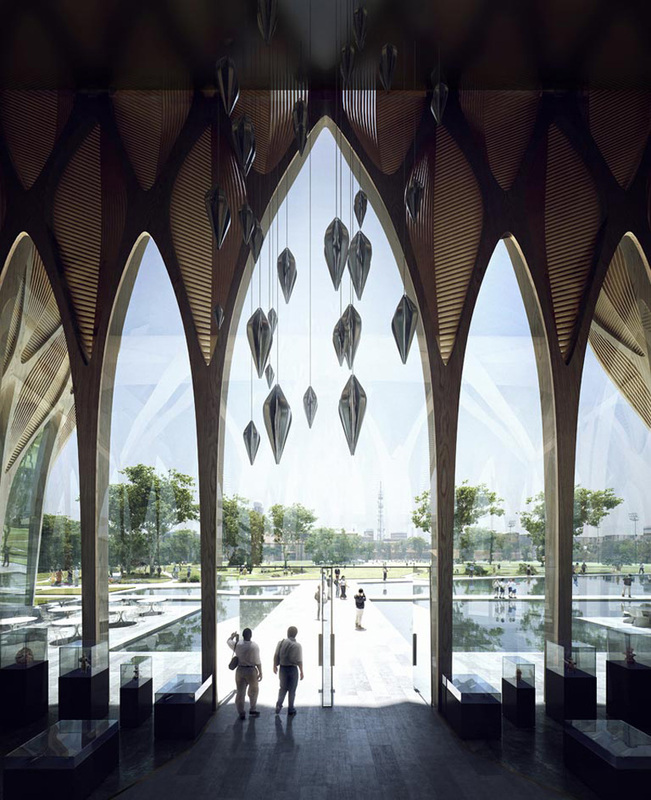 Designed by the late multi award-winning London-based Iraqi architect, Zaha Hadid, back in 2014, the Sleuk Rith Institute’s design immediately conjures images of a distant future as well as Cambodia’s glorious past. Five towers reminiscent of Angkor Wat rise from the monsoonal mists of the famed and beautiful jungle to inspire yet another allegory — trees of knowledge and life. “The repression of cultural knowledge during the French colonial era, followed by the Khmer Rouge regime’s ideology as a form of education meant that links to the rest of the world were severed.It was an ideology that almost destroyed us. Today we are still chained to the past, which is why for me, only education can set us free. We should not be enslaved by the past. We cannot escape it; we have to face it,” says Chhang. The name Sleuk Rith is highly symbolic and refers to the power of leaves, explains Chhang, as he recounts a story of Cambodian intellectuals and activists secretly writing messages on dried leaves during the colonial era to preserve their knowledge and culture. The symbolism runs even deeper. There are distinctive parallels between the ancient regional tradition of meticulously writing Hindu then later Buddhist texts on palm leaves, sastra, to the hundreds and thousands of leaves of paper filled with forced confessions delivered under unabated torture, to reams of survivor testimonies painstakingly recorded and collected by the DC-Cam team since it began its work in 1995. Chhang is quick to mention that within the concept of the power of leaves exists another meaning — plain paper, or that critical moment before the page fills with ideas and feelings, and which allows for the possibility of new versions of the history of genocide. “When I was growing up, there was no education, and very few had traveled outside of the country,” says Chhang. The new building is meant to inspire reflection, reconciliation and the restoration of relationships broken by the Khmer Rouge’s near four-year reign of terror. However, unlike other memorials and in situ sites scattered throughout the country offering explicit and undeniably invaluable evidence of the atrocities orchestrated by the regime, the Sleuk Rith Institute aims to tell the same horror story a little differently. “Many young people look at a skull, a shackle or a blood stain on a wall and feel that it is the older generation who are responsible for the mistakes made,” says Chhang. Reinterpreting the atrocities in any way as ‘beautiful’ immediately calls for a reevaluation of aesthetics, as does the message that is hoped to be shared and retold by others. Sites like Tuol Sleng, the notorious prison and interrogation center codenamed S-21, and Choeung Ek ‘Killing Fields’ where the majority of prisoners were executed, all serve as important witnesses to the past. However, it can be argued that they elicit intense feelings of pity, shame and disbelief, which can be counterproductive when trying to understand what happened and to possibly achieve reconciliation through empathy. And not everyone can visit such places. 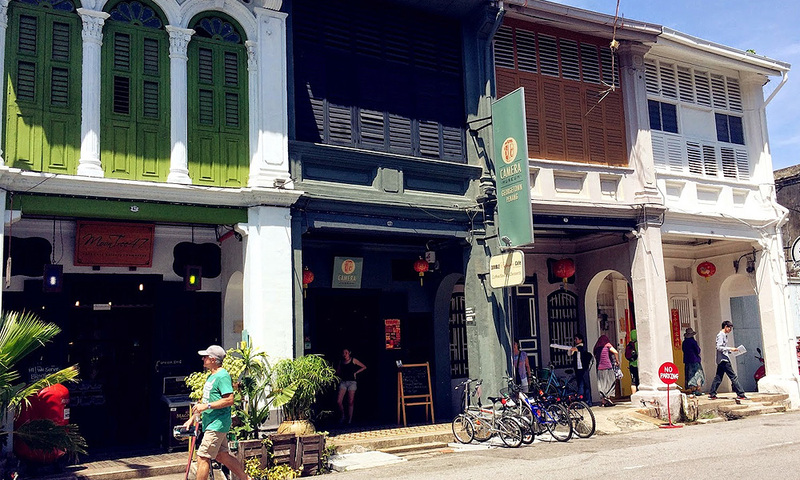 “The best memorials evoke reflection and commemoration, but are also living, dynamic places that engage with all generations in the community,” says Chhang. The centre will not only commemorate the lives lost but also serve as a tribute to the survivors via a museum of memory. 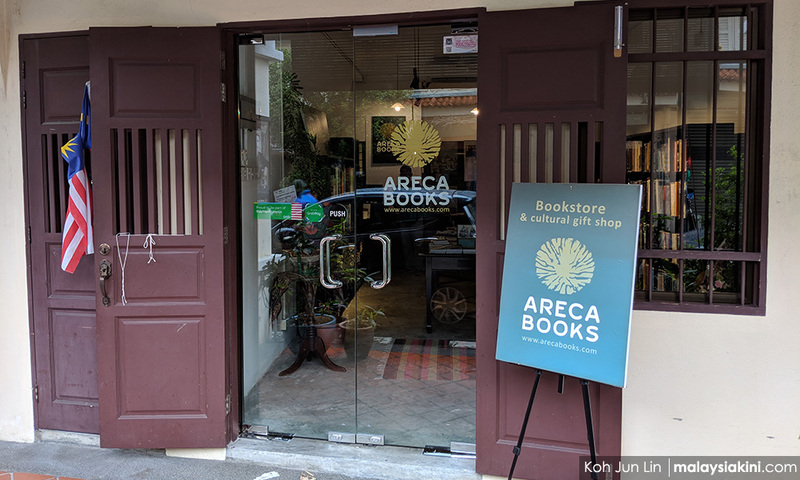 It will also be an archive of all documents about the period, a library and an international research center for genocide studies, placing the Cambodian experience in context with other atrocities still being perpetuated today despite global outcries. While such outcries have sadly done little to lessen the frequency and the impact of genocide across the globe, the fact remains that there are survivors and with them comes the arduous and initially insurmountable task of rebuilding a stable cultural identity that helps to heal. These efforts require hope and relentless optimism. 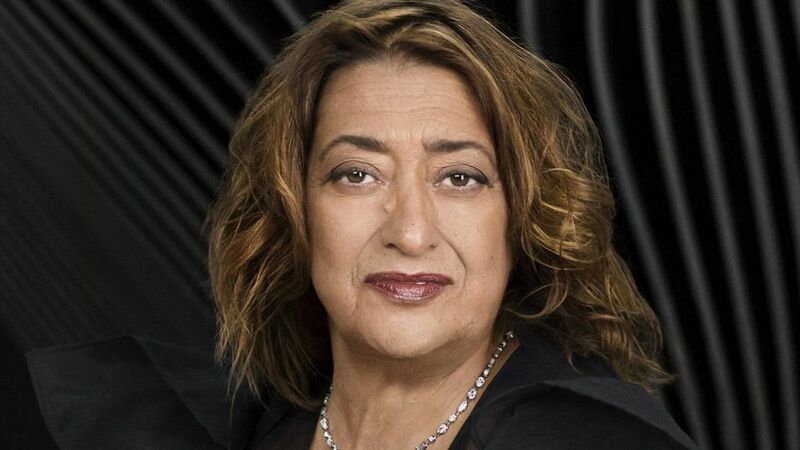 Architecturally, Zahara Hadid’s futuristic designs embody this kind of optimism, as well as the belief that the past defines the future. The future depends on it, and, so by challenging the more traditional pessimistic practices of memorialising traumatic histories, her designs reach into the future as if to show that this can be, if not already, achieved. In the case of the Sleuk Rith Institute, this can be seen in the shimmering waterways and the warmth of exposed wooden beams that evoke the image of verdant and fertile trees or the themes of the rebirth of knowledge. By widening the conceptual space for healing, the Sleuk Rith Institute has a profoundly important role to play. It shows that heritage so unequivocally rooted in pain and shame can be transformative through an oddly unsettling yet familiar kind of beauty that has the potential to evoke much-needed empathy and compassion. “Genocide is part our identity– it is our identity. It just takes a matter of time to accept it,” says Chhang. Time is a great healer, and after a succession of delays we can only hope that Cambodia will see a building it so desperately deserves — one that will aid a more informed idea of the past well into the future. Julia Mayer is a Masters of Museum and Heritage Studies student at the Australian National University. 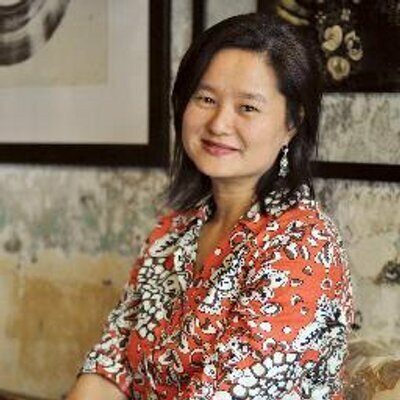 She has lived in Malaysia, Indonesia, Vietnam and South Korea, and has written extensively on traditional arts, performances and cinema in the region. She is also the Asia Correspondent for Metro Magazine Australia. Posted in Architecture and Design, ASEAN, Cambodia, Creativity and Innovation, Freedom, Liberty, Peace, Phnom Penh.